Summer is right around the corner and I've got some fun learning opportunities available and this year I am trying something new. I know that summer can be a busy time of year with kids out of school, vacations and getting outside, it can be challenging to fit in time for online learning. So I have created what I call "micro classes"- small classes focussed on one topic. I think it is the perfect solution for those of you with a busy summer schedule but are still looking for inspiration and an excuse to create. The best part is that I have created these classes for all ages so everything that I teach can be used with kids, adults or even both together! Each micro class is designed to teach you something very specific. Like the rest of my classes they pack a PUNCH! With demo videos, photos, prompts and downloads, each class is designed to give you a burst of inspiration and creativity. A mandala is typically a circular form with a center point with all kinds of shapes and symbols emerging from the center. Creating mandalas are one of my favorite ways to get lost in the process of drawing. In this class I will be sharing my own techniques, tricks and tips for creating all kinds of different mandalas from a variety of materials. Like many of you out there, I am obsessed with washi and decorative tapes and I use them in all kinds of different ways. 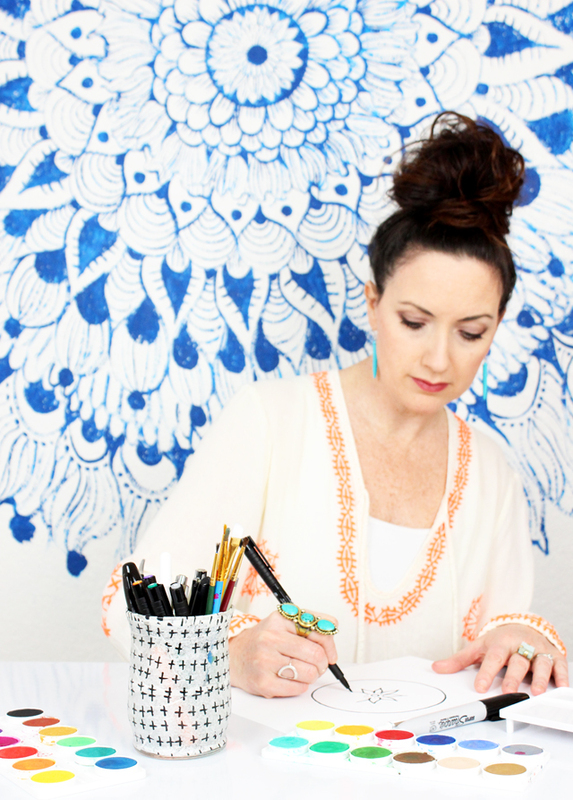 In this class I will be sharing a variety of unexpected ways to put that pretty tape to use in your art journals, mixed media projects, drawings and paintings. There is nothing more important in my work than creating a really dynamic background and over the years I have developed and sharpened my skills when it comes to creating backgrounds. Beautiful Backgrounds is a little class where I am sharing my favorite techniques and materials for creating a really great background. From painting with watercolors, acrylics to using collage materials I will share my secrets for creating a really great background! 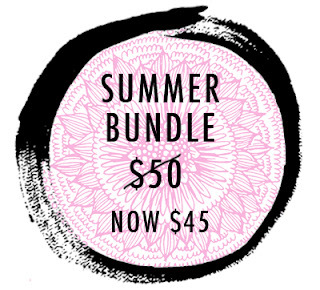 Individual classes each cost $15 or purchase the "Summer Bundle" at $50.00 to receive a $10 savings! And for the rest of the month of May I am offering an early bird discount of an additional $5 off. 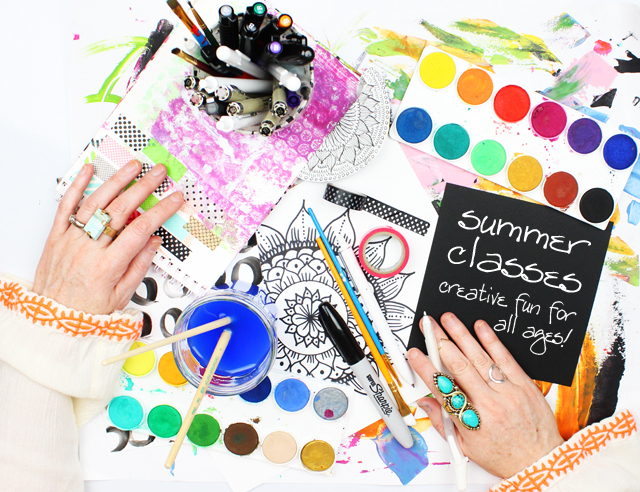 Head on over to my shop HERE to view all of my class offerings! Large Class: These classes are $50 and have 5 HUGE lessons that include videos, photos, written information, prompts and more. My large format classes dive deep into a variety of techniques, projects and information. 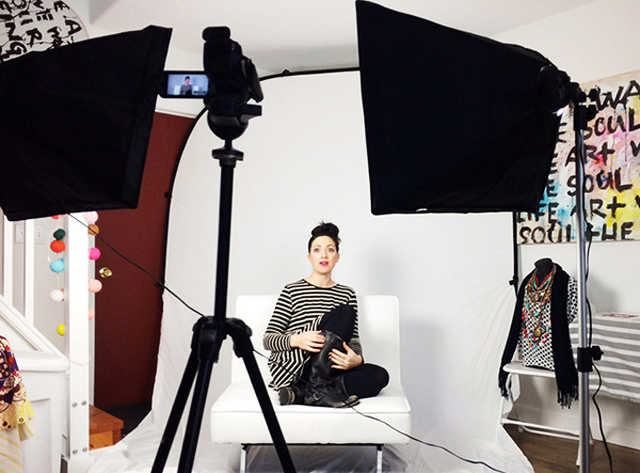 Mini Class: My mini classes cost $30 and have 3 HUGE lessons that include videos, photos, written information, prompts and more. Micro Class: These classes cost $15 and have 1 HUGE lesson that includes videos, photos, written information, prompts and more. I am a long time HUGE fan of yours and have been anxious to take some of your classes for awhile now. However, with five kids in NYC my time is limited and so are finances. I just wanted to tell you that I think this concept is brilliant! You immediately caught my attention with the fact that it's micro and that you marketed it with kids in mind as well. I'm planning on talking to my husband about buying your bundle and then doing the lessons with the kids during the summer. Thanks for being such an inspiration to me. Love the Mandala class! I'm doing a mandala a day for 30 days. Only wish the class was available sooner! Good way to spend summer vacations. oh man your site is really amazing and nice for me i like your site Clash of Clans update. Let's play with Tiny Tanks Unblocked - a fun game with the armored car. also if you like the Tiny Planes, try the Tiny Planes. Tiny Planes is an interesting game that you should know. galaxies is a mystery to you, and explore it with Run 3 Unblocked or Run Unblocked . you are a person who likes football? So head soccer , head soccer 2 or Big Head Soccer is right for you. Car Racing Games , Donkey Kong Unblocked and are also Super Mario Unblocked popular game of us. Having fun.